call for a referendum for the secession of Biafra. 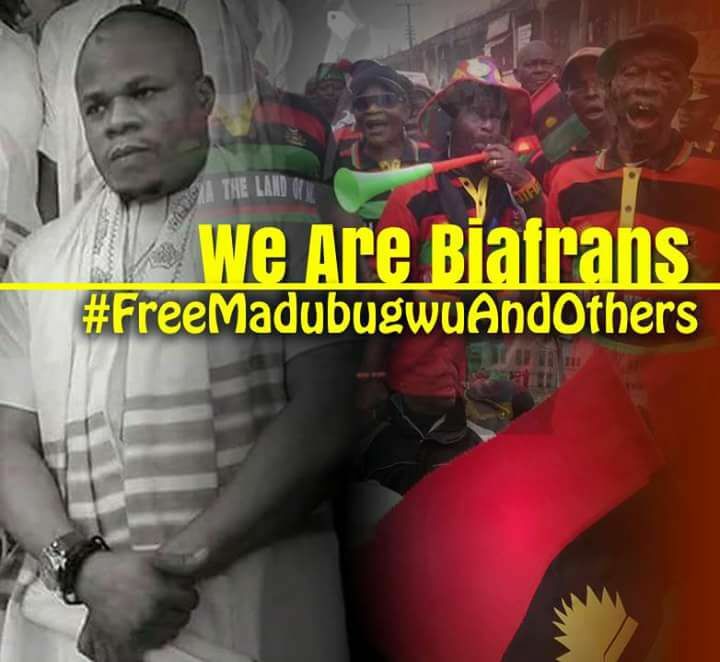 Benjamin Madubugwu who is currently being remanded in Kuje Prison alongside two others – David Nwawuisi and Chidiebere Onwudiwe – said the group is only focused on getting a referendum to achieve it dream. He said: ” What we are seeking for is peace, enough killing, millions have died – 67 to 70; people are still dying. “Why are we killing ourselves? Benjamin Madubugwu called for peace and an end to the killings of many Nigerians over the Biafra agitation. “God created us in this geographical position in Africa. 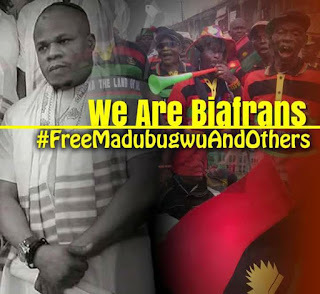 ; he created us like Biafra, like Arewa, like Oduduwa; if we are not going to live together, why don’t we give ourselves the opportunity to live as good neighbours? “Instead of being enemies, what is the need? We are only asking for referendum, not for war. Madubugwu said the Indigenous People of Biafra are only calling for a referendum and not war. “Referendum is not war, it is a right under the international law which Nigeria is signatory to this law, why don’t we do this thing in peace,” he concluded. The co-defendants in the criminal trial of Nnamdi Kanu were brought into the court by operatives of Nigeria Prison Service. The trio however were in the dock in the absence of their leader who has since been declared missing by his family and lawyer after a Nigerian army raid in his residence. The court which sat on Tuesday, October 17, urged the sureties of Kanu to either produce him in court, forfeit their bail bond of N100 million each or make an application asking the court to give them time to produce the IPOB leader. The order by the court followed an application by the Senator representing Abia South, Enyinnaya Abaribe, asking the court for a discharge as Nnamdi Kanu’s surety. Abaribe said the activities of the Nigerian army in an invasion of Kanu’s residence are matters of the state’s secret. Abaribe said this secrecy is incapable of being unravelled by him.